The Virginity of Famous Men, award-winning story writer Christine Sneed's deeply perceptive collection on the human condition, features protagonists attempting to make peace with the choices--both personal and professional--they have so far made. In “The Prettiest Girls,” a location scout for a Hollywood film studio falls in love with a young Mexican woman who is more in love with the idea of stardom than with this older American man who takes her with him back to California. “Clear Conscience” focuses on the themes of family loyalty, divorce, motherhood, and whether “doing the right thing” is, in fact, always the right thing to do. In “Beach Vacation,” a mother realizes that her popular and coddled teenage son has become someone she has difficulty relating to, let alone loving with the same maternal fervor that once was second nature to her. 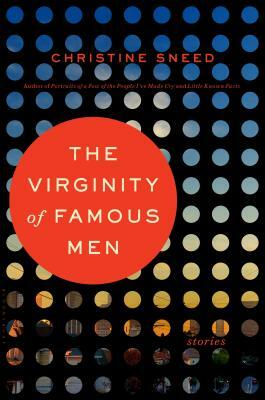 The title story, “The Virginity of Famous Men,” explores family and fortune. Long intrigued by love and loneliness, Sneed leads readers through emotional landscapes both familiar and uncharted. These probing stories are explorations of the compassionate and passionate impulses that are inherent in--and often the source of--both abiding joy and serious distress in every human life.